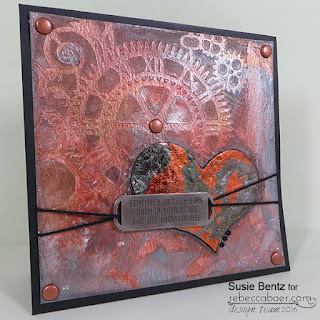 Steampunk is really trendy right now and I had a lot of fun creating this funky card using the small Steampunk Clockface stencil from Rebecca Baer Designs. 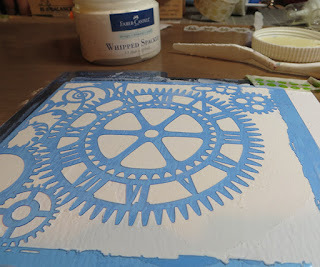 This collage style stencil incorporates multiple gears with roman numerals and a skeleton key! I started by taping the stencil on top of a piece of 6"x6" watercolor paper and applying Faber Castell Whipped Spackle. 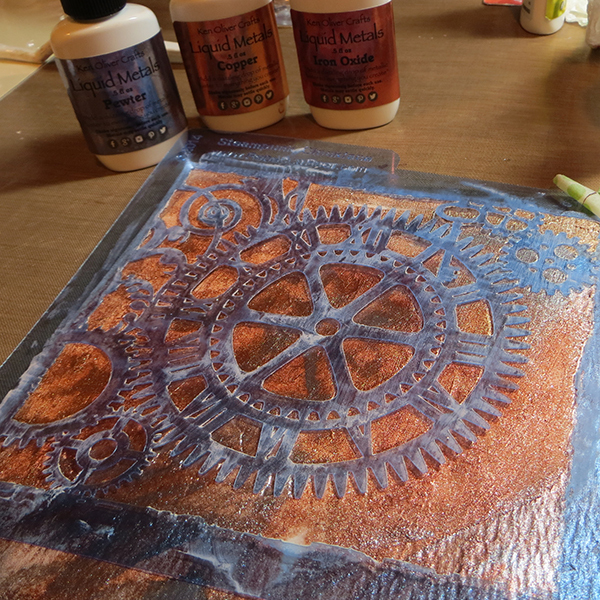 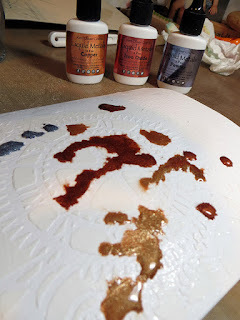 After it dried, I lightly spritzed it with water and dripped on 3 different colors of Ken Oliver's Liquid Metals. 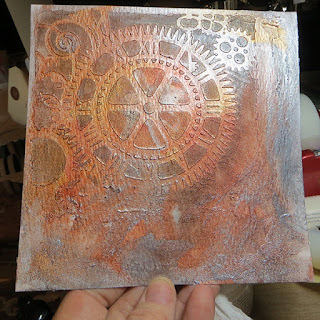 I used a wet paint brush to move the Liquid Metals across the surface, blending in some areas until I was happy with the look. I used a heat tool to dry the surface. 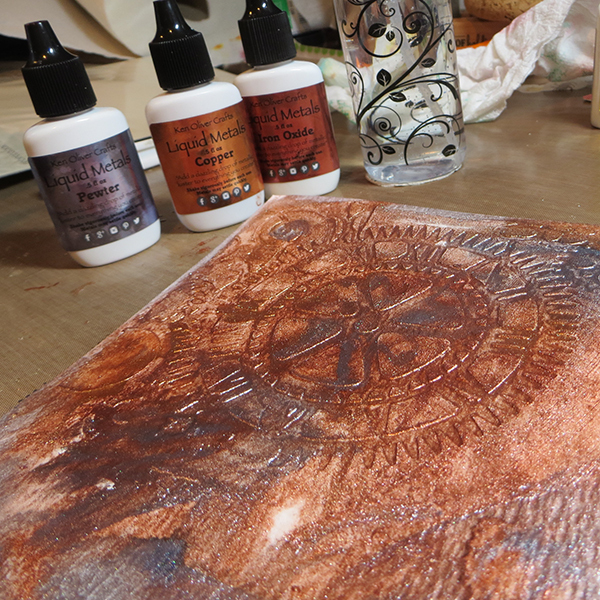 I replaced the stencil and lightly inked the raised surfaces with a water based black ink. 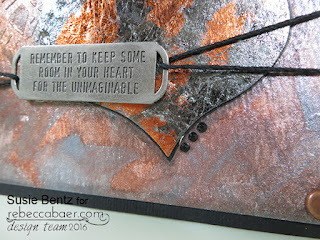 So grungy and cool! I trimmed the paper down to a 5.5" square. 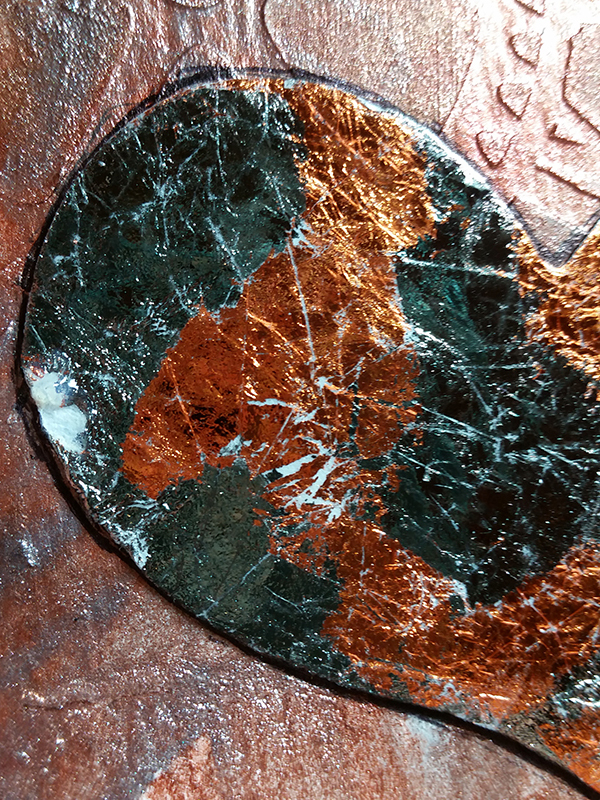 ...and created a random pattern of color on the heart by alternating the colors on the adhesive surface. 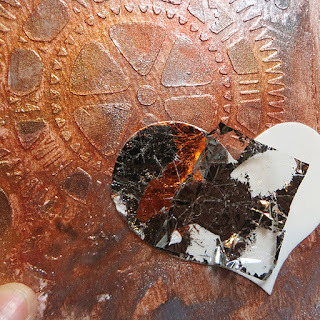 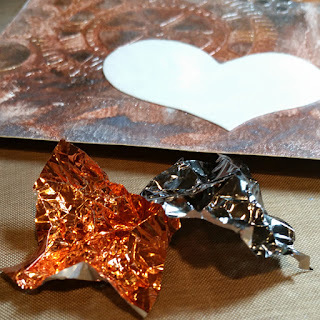 I really love the texture on the heart from using the crinkled foil. To finish things off, I used black cord to tie a metal tag onto the front. I accented the heart with 3 tiny rhinestones, added some copper colored brads and mounted it all on a black cardstock base.